American music from the beginning of the 20th century is for the first time ever being performed and recorded in Lithuania by an unexpectedly born old time acoustic American country music project „VYDRAGA +" (lead by Algirdas Klova). This project is formed by all five members of the instrumental folk band „Vydraga" and representatives of three other genres: singer Aurelija Venskutė, banjo player Alius Sirgėtas and guitar player Augustinas Jankevičius. At the very end of this album you will find two songs (tracks 14 and 15) recorded with singer Miglė Kepežėniene. For some of you the participation of „Vydraga" in the promotion of country music might seem unexpected. However, if you take a look at the history of this band everything seems natural and consistent. This band not only perfectly performs Lithuanian folk music, they also play folk music of other countries, participate in world music projects with folk performers from all over the world, and jazz musicians. Gradually, getting to know other genres of music better and better, a wish to look further ahead appears natural. It is fair to say that Tom Travis is a UK bluegrass music pioneer. 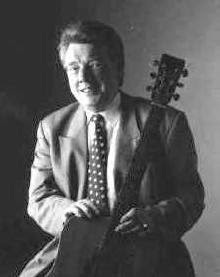 During his fifty-years in the music, Tom has been involved in every aspect of British Bluegrass from being an organiser of the Edale Bluegrass Festival in the English Peak District to being a founder member of the British Bluegrass Music Association (BBMA) including serving as its Chairman for six years. Tom is currently only playing occasional concerts while he recuperates from heart surgery but he is still very busy recording. 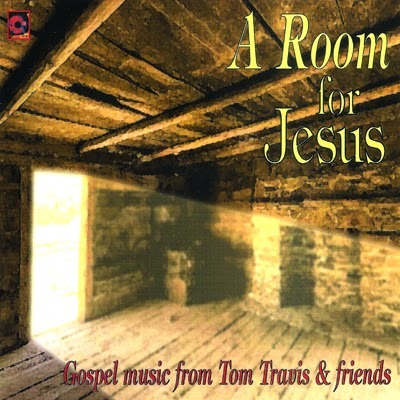 In April of this year, Tom released 'A Room For Jesus'. This includes some of Tom's own gospel songs as well as classics such as Bill Monroe's 'Wait a Little Longer' and the Stanley Brothers' 'The Darkest Hour Is Just Before Dawn' and 'I’m Ready To Go'. 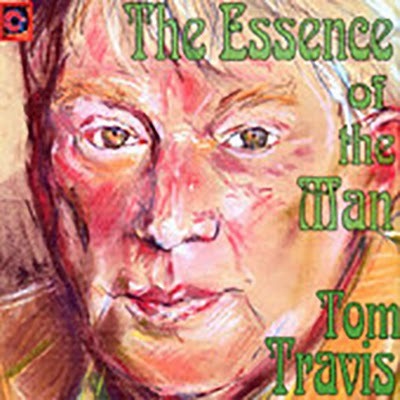 Additionally, Tom releases 'The Essence Of The Man' on June 23rd. The Essence Of The Man is mostly just Tom, his old Martin D28 and a collection of self-penned songs. Tom says that this album is a temporary departure from the Bluegrass band format to enjoy writing and performing songs in other styles. 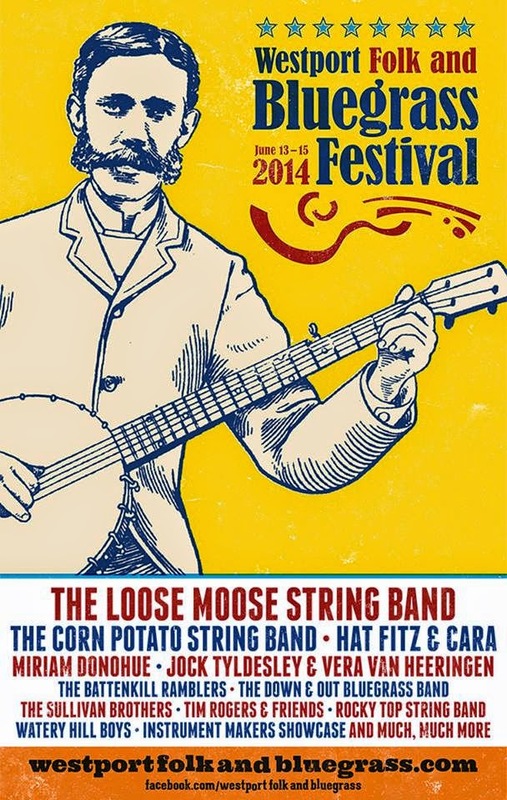 LCBF in Oelegem - the only bluegrass festival in Belgium: 27-29 June 2014! Don't miss! See you all in Oelegem this weekend. Support the only bluegrass festival in Belgium! Attention: !!! No Jam in July !!! Our next jam this Friday 27th June 2014! Where? Of course at the wonderful Zy’coop place, 9a rue de l’usine, 5032 Mazy (Belgium). The purpose of the jam is to let the musicians propose tunes to each other, spontaneously, following the felling of the moment. However, to allow everybody to be comfortable, we suggest one "standard" piece every month of the style which will certainly be played! The organising team are: Steve Louvat, Laurent Eeckhout (Picnic Festival) and Pascal Similon from (Atelier Guy Ness). Thanks to all volunteers for their help! Your band on stage at World of Bluegrass 2014? IBMA's International Committee (cooperating with Nechville Banjos) wants to put as many great bluegrass bands from outside the US on stage as possible during the World of Bluegrass week. So if you are a band from any other country than the United States that is planning to go to Raleigh this fall, or if you know of one, please let us know! We will be hosting an International Bluegrass booth in the Bluegrass Expo during the IBMA Business Conference Oct. 1-4; a Bluegrass Ramble sponsored evening showcase from 11 p.m.-2 a.m. at The Architect on Tuesday night, Sept. 30 in Raleigh; more international music at the Tir Na Nog in Raleigh on Friday, Oct. 3; and an After Hours showcase in the Alumni Room at the Marriott in Raleigh on Thursday night, Oct. 2, from 11 p.m.-2 a.m. after the IBMA Awards Show. Apart from the official IBMA stages, we will have several opportunities for performing from Tuesday through Friday, late at night and/or in the daytime. Please contact angelika@ebma.org, preferably before July 1, so we can put the showcase programs together in time to be published through the IBMA media. This is a great opportunity for you to reach an audience in Raleigh, and put on your CV that you have performed there! Let us show them that bluegrass music is alive and well, all over the world! Check out this great festival in Sweden! Torsåker Bluegrass Festival, the largest bluegrass festival in Sweden, celebrates its 30 year anniversary with a three-day festival July 4th to 6th, presenting bands from both Europe and the United States. Headlining: Torsåker's host band Downhill Bluegrass Band SE, Corn Potato String Band U.S., Sons of Navarone NL, Dr Bluegrass & The Illbilly Eight GB, Jussi Syren & The Groundbreakers FIN, G2 Band SE, Ungrassified DK, Battenkill Ramblers GER, Spinning Jennies, Le Chat Mort, Grassride and more from the Swedish bluegrass scene. With two stages, one indoors and the other outdoors, the festival spirit is not dependent on the weather, even though the sun always seems to shine down on the festival. Food, beverage and music is everywhere to be found around the festival area and there will also be instrument and merchandise sales on camp too. The Al Ras Festival (this year scheduled for 15 November) is Spain’s only Bluegrass and Old Time festival and has now reached its 14th year but it needs the help of Bluegrass and Old-Time fans for the festival to continue. The efforts of the bluegrass & old local time musicians, the fans and volunteers has kept the festival going so far but it needs financial support to continue. The Al Ras Festival has set up a Verkami crowd-funding project and you can find out more and pledge your support on their Verkami page. This multi-lingual video includes some of the musicians that have appeared at Al Ras and who are encouraging your support. You can also follow the Al Ras Festival on their Facebook page. “NASHVILLE SIDE STREETS”, a new live internet music show, is broadcast in full HD from the front room of a house, turned state-of-the-art studio, near Nashville, TN. This live show is to exploit the musical talent that is hidden on the streets of Nashville and beyond, for a worldwide audience to view, and to let everyone know that there is still good music "JUST WAITING TO BE SEEN AND HEARD". The set is designed for both the comfort of home and the audio visual quality of a professional facility. We will also be performing at the Nocturama Festival (southpopfestival.com) in Seville in July along side Pajaro for an awesome show where both bands will blend performing each others songs mixing southern Andalusian Surf Rock with bluegrass. And last but not least, we will be performing at La Roche Bluegrass Festival (larochebluegrass.fr) on the new stage they have set up for afternoon shows. Our show is scheduled for Saturday the 2nd of August at 2pm. Hope to see you all somewhere along the ride. The Norwegian band Brokeland Bullets (brokelandbullets.com) took a group of young students under their wings to introduce them to the joy of playing bluegrass music. In a joint project between the Music School in Barneveld (The Netherlands) and the Stichting EWOB Voorthuizen (organizer of the EWOB Festival Voorthuizen, ewob.eu) Brokeland Bullets spent two hours of their time to teach bluegrass music at the local Music School, housed in the local theatre in Barneveld. This workshop was financially supported by the D'Addario Company from the U.S.A.
28 students, along with family and friends, came to the workshop that was held on the Wednesday evening before the EWOB Voorthuizen festival. After having played for half an hour, performing a number of bluegrass songs, the six band members spread out over the main foyer of the theatre and explained all about the instruments (violin, mandolin, bass, guitar, dobro and banjo) to the students. After this presentation another hour was spent rehearsing the song "Man of Constant Sorrow". In the previous month the students had already rehearsed this song during their individual lessons. Now they were taught the finer details by the experts. Afterwards the band and all the students performed 'Man of Constant Sorrow' live on stage to show the audience what they had learned. It sounded great! There were big smiles on everybody's faces as the children and their parents listened to the band playing more songs until the closing of the evening. A lot of these children came to the EWOB Festival the next day, not only to see Brokeland Bullets again on stage, but also to see, hear and feel more of the bluegrass vibe. The Stichting EWOB has already been asked to do this project again next year, on an even larger scale with students from Music Schools in the surrounding area. This request will of course be granted, so next year there will be another Bluegrass School Project. The EWOB Festival & Trade Show 2015 will be held in Voorthuizen (The Netherlands) on Thursday 14th, Friday 15th and Saturday 16th of May 2015 - mark your calendar! The Boet'n Deure Festival organized by Poolshoogte, will take place on Sunday 29th June with bluegrass and folk on the big stage and plenty of room to jam around the tower. The Boet'n Deure Festival is held in one of the most beautiful spots of Drenthe (NL), in the middle of the woods at Poolshoogte and is characterized by its friendly atmosphere, there is room enough to listen to music and there is plenty of opportunity to jam with other musicians. More and more music lovers from Germany and the Netherlands are now finding their way to Drenthe to enjoy bluegrass music. The music at Boet'n Deure will start at 11:00am and there will be ten acts performing throughout the day ranging from up-and-coming musicians to well-known bands such as The Stroatklinkers and Lazy Tater. The Stroatklinkers recently won The Liz Meyer European Innovation Bluegrass Music Award at EWOB. Lazy Tater, with Geert van Schoonderwoerd den Bezemer on banjo, is one of the best bluegrass bands in Europe. Jami's Fancy plays Irish and Scottish jigs and Bek vol Zand from Hengelo brings his own work that rubs against the edges of blues and roots. The vocal harmonies of the band JOE are not to be missed; this band plays beautiful renditions of songs from the West Coast. The finale with all the musicians on the big stage, this year directed by Ron Snippe, provides a rousing conclusion to the Boet'n Deure Festival. While there are also some seats, to be sure of a seat at the stage it is recommended that you bring a lawn chair or picnic rug. While some rain covers are being set up, please remember that the festival and concerts are out in the woods, at Poolshoogte. For children there is a whole forest to run around in and the restaurant is also open. The entrance to the Boet'n Deure Festival and the concert is a free though visitors are welcome to show their appreciation for the music by making a donation of whatever they can afford. The Boet'n Deure Festival is organized by Foundation Boet'n Deure and made possible by the Prince Bernhard Cultuurfonds. "With only a week to go to the 8th Westport Folk and Bluegrass Festival, Uri and his team were delighted to learn that the festival was included in a list compiled by the Irish Times of the top twenty festivals in Ireland. Here are some details regarding the services for a good friend and colleague James Alan Shelton. Since the notice of his death was posted here this week, I feel an update on James Alan's funeral and memory is warranted. James Alan had many friends and fans throughout the European continent, and I was informed this morning that many of you have written or posted your thoughts online to James' family. You should know that James was aware of, and in some cases overwhelmed by, those cards and letters he received from Europe with best wishes and thanks. 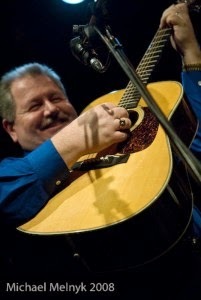 James Alan Shelton single-handedly revived the cross-picking guitar style of his hero and best friend, George Shuffler. A style instantly recognized, and familiar to Stanley Brothers music fans. Of course, his guitar work with Ralph Stanley and his own solo recordings will be James' musical legacy. However to those who knew him away from the music will surely remember the softspoken 'Gentle Giant' whom was a friend for life, starting the moment he first shook your hand. The entertainment business -- the world -- could use more folks like James Alan Shelton. The following was sent by James Alan's wife, Greta, to John Lawless for publishing on BluegrassToday.com. It is Greta's personal message to all those who knew and supported James during the short 6-week period since he became aware of his illness. I want to thank everyone for the outpouring of love, concern and prayers that we have experienced over the past 6 weeks. James’ diagnosis of stage IV pancreatic cancer was a devastating blow, but we faced it together determined to give it a good fight. Unfortunately the cancer progressed so quickly and caused huge problems with his blood. Due to low platelet counts and blood clots he was never able to start chemotherapy. In the end, a blood clot is what took his life. From the beginning, he faced the situation with amazing courage and strength, but it was to be a short-lived fight. So many people reached out to him and he felt all the prayers on a daily basis. James was constantly amazed at the amount of love he received from friends and fans. I’ve lost my best friend, but I have some consolation in knowing that during his life he got to live out his dream. He spent 20 years working for his musical hero, Ralph Stanley. Being a Clinch Mountain Boy was something he dreamed about as a boy and it took him to places he never imagined. He admired George Shuffler’s guitar playing for years and another dream came true—they became fast friends and loved each other dearly. James had the honor of playing at George’s funeral just a short time ago. We would have never dreamed that he would be gone just a short time later too. But it makes me smile a little to know that there’s some great cross-pickin’ going on in heaven today. Calling hours are from 5:00 to 8:00 P.M. Friday at Johnson – Arrowood Funeral Home and anytime at the residence, or the home of his father, J. Fred Shelton. Funeral services will be conducted 11:00 A.M. Saturday in the funeral home chapel with Rev. Odell Beauchamp and Rev. Bill Porter officiating. Music will be provided by close friends. Graveside services will be conducted following the service Saturday at Church Hill Memory Gardens. Pallbearers will be Audey Ratliff, Steve Patton, Tommy Freeman, Jerry Keys, Dan Moneyhun and Nathan Aquino. Honorary bearers will be Ralph Stanley and the Clinch Mountain Boys, Phil Overbey, Adam Steffey, Barry Bales, Steve Sparkman, Herbie Shuffler, Eric Shuffler, and Eddie Stubbs. Recent events in Doug Seeger's life are like a fairytale. A random meeting on the streets of Nashville led to an over night success in Sweden. Last year in September, Swedish country star Jill Johnson taped six TV shows in Nashville. In the last episode Jill and her guest Magnus Carlsson more or less by accident came across a street musician named Doug Seegers on Lower Broadway, playing his song »Going Down To The River«. The song and Doug's performance knocked them out and a few days later they took him to the Carter Cabin Studio to record it. The TV show was aired in Sweeden in March 2014 and the public response was overwhelming. In early April Doug Seegers recorded his first album in Nashville with Will Kimbrough producing. And Doug will spend all of this summer in Scandinavia playing festivals and high profile gigs. 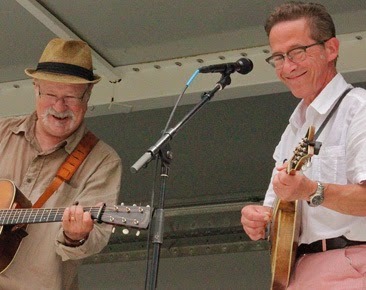 Back in the eighties, Doug Seegers used to play in a band in Austin with Mr Americana, Buddy Miller himself, but since then his life has had its ups and downs. More downs than ups to be correct. The last 10 years or so he's been homeless, living on the streets of Nashville, playing his songs on the tourist strips to get enough money to survive. And writing songs all the time. Since about a year Doug's been sober and clean and just recently he got himself a small apartment. Here is a youtubeclip: Doug Seegers Nashville street musician makes Swedish breakthrough. To apply, please send your CV and some background information to: board@ebma.org. For further information please refer to the current EBB editor at editor@ebma.org. Only serious offers will be considered. Since Richard Hawkins' official retirement as editor of the European Bluegrass Blog on 15th February 2013 (and his inofficial real retirement from the same work about one year later), the blog has had gaps. Yes, we admit. And no doubt, it is hard to match the standard Richard Hawkins built in nearly eight years. But with YOUR help, EBMA might be able to assure a certain continuity in letting the world know about what happens in European bluegrass! The European Bluegrass Blog is a free service by the European Bluegrass Music Association EBMA, edited purely by volunteers (one, to be precise, at the moment). Everything that costs is covered by our paying members (so, any donations showing your appreciation of the blog will be gladly accepted, please send to PayPal: admin@ebma.org). Please have some patience when you're sending in news, and remember that there is no guarantee everything will be posted, until we will have a reliable team to handle the blog. Thank you for your interest and for supporting EBMA's endeavours! Here's a great contribution by Della Mae in BluegrassToday.com. Ondra Kozák (http://www.ondrakozak.com/en) has launched the ATAmusic Online Music Workshop (http://atamusic.eu/en) – a place for musicians to learn and share all music-related information. The Portuguese bluegrass band, Stonebones & Bad Spaghetti (SBBS), is proud to announce that the band will take part of three prestigious festivals in May, June and August. On 29th May, at 14:30, the SBBS played at the EWOB festival (www.ebma.eu), in Voorthuizen, Holland. On 28th June, at 17:00, the SBBS will play at the BBBlues Fest (http://www.bbbluesfest.com.pt/content/stonebones-bad-spaghetti-pt), in Baixa da Banheira, Portugal. An finally, on 2nd August, at 12:00, the SBBS will proudly represent Portugal at the famous La Roche Bluegrass Festival (http://www.larochebluegrass.fr) in La Roche-sur-Foron, France. Congratulations to all AWARD WINNERS at EWOB 2014! Attention: Dunderhead will be featured in EBMA's upcoming issue #92 of BLUEGRASS EUROPE (July-September 2014).